January 17 – February 21, 2017 – with webinars each Tuesday evening from 6:00 – 7:30pm EST. Maple syrup production is rapidly growing around the Northeast and offers a sound financial opportunity to utilize woodlots sustainably. 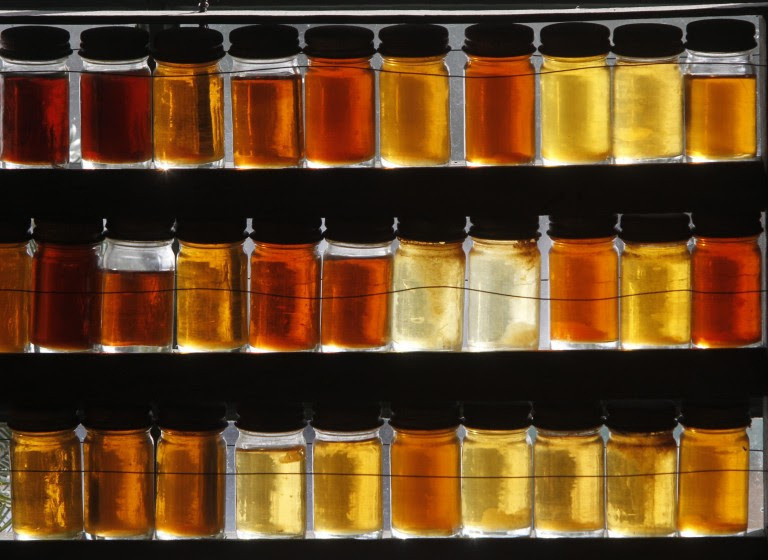 This six-week online course explores the range possibilities of maple sugaring on your land – be it for supplemental income or for your livelihood. Also discussed are “alternative” trees for production, including Birch and Black Walnut. The content presented assumes the student has little past knowledge of sugaring, but a background in agriculture or forestry will be very helpful. Today we are sharing one of the experiences that the students in the Sustainable Farming and Food Systems Program at TC3 have had this semester. In addition to their coursework in Agroecology (ENVS 140), and the seeding and planting they have done in the greenhouse and hoophouse, our students have joined us on 2 exciting field trips to farm/food businesses in the community this Spring. The first field trip we took was to Sapsquatch Sugarbush to see a small scale maple syrup operation. Josh Dolan has about 500 taps in his sugarbush in Enfield, NY, 8 miles from Ithaca on Route 79. Sapsquatch also offers a number of education events and work trade experiences throughout the year. You can check out the Facebook page HERE. When we arrived, Josh was in the process of boiling down a batch of sap, but was generous enough to spend about 45 minutes talking with us about the process, and the history of his operation. We learned a whole lot about maple syrup production, and the potential for small scale maple syrup production in the area. Josh has managed to grow his operation without taking on significant debt, and has plans to expand further over the coming years – tapping more trees and investing in a reverse osmosis system to concentrate his sap so that it can be boiled down faster.